Enchanting gemstone globule bracelet produced using exceptionally cleaned magma gemstone with owl fascinate. Magma stones are fabulous for settling and establishing the root chakra. 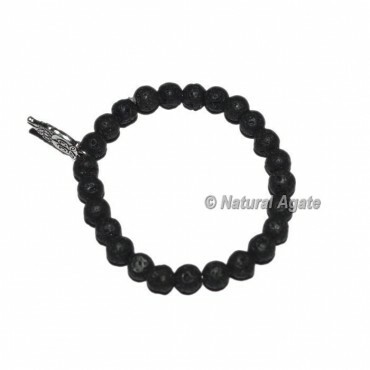 This is a direct result of the solid association with the earth.For any extraordinary request or for changing the plan of the bracelet get in touch with us straightforwardly.